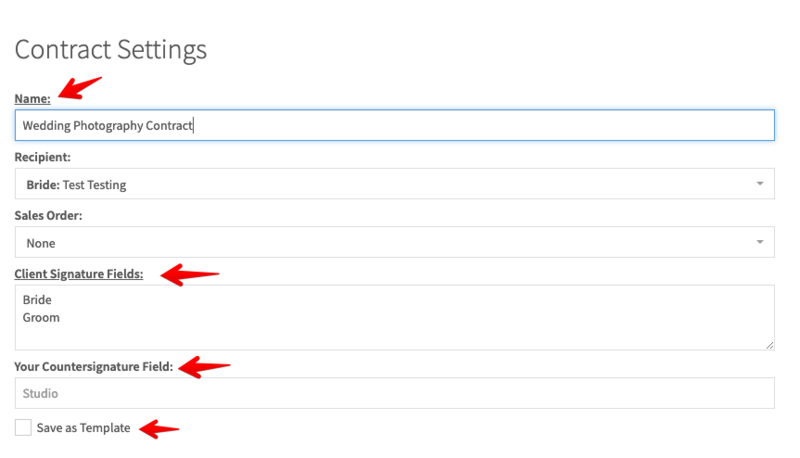 To begin, we'll head to the lead we're looking to book from our leads sidebar and head to the job overview page. 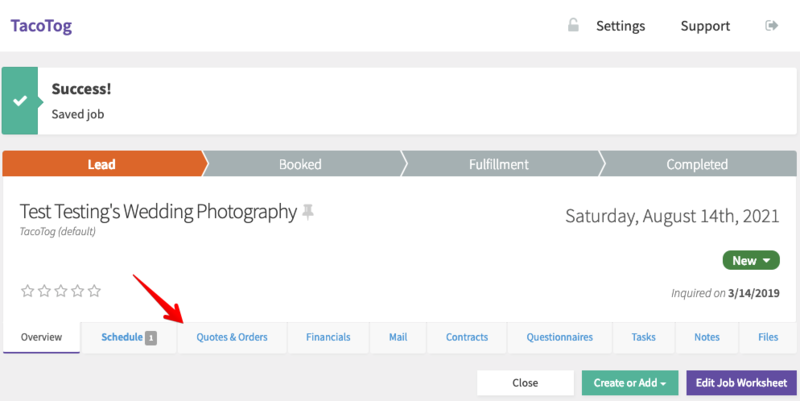 From here we'll click Quotes and Orders, followed by New Quote so we can get our test client booked. This is our Quote Builder. Quotes in Táve are an awesome way to send a client pricing information and options, contracts and questionnaires all in one easy to follow link. The top section of this screen is some basic information about the quote that we can fill in if we'd like to. 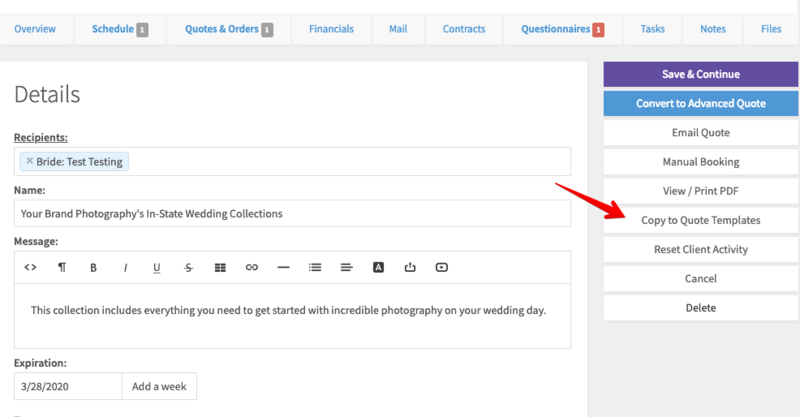 The message field here will display at the top of our quote once our clients click the link to it. We can now start building out our quote with the products and services we offer. First we'll begin by searching through the products we already have in that dropdown. 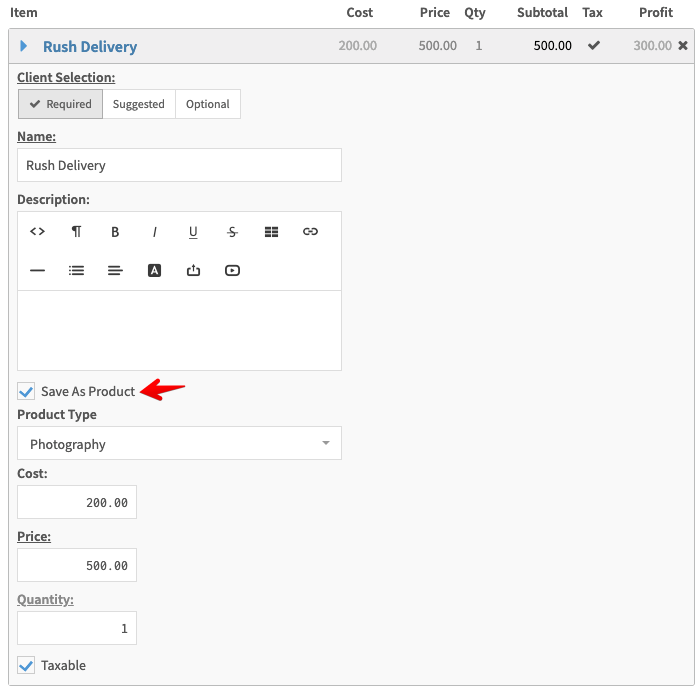 If the product you're looking for doesn't exist just yet, you can always click Manual Entry and create a new one. Just remember to choose Save As Product to save yourself from entering products more than once. These can always be edited in Products and Services later. 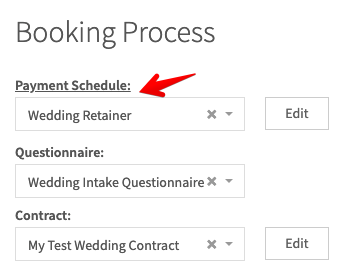 Below this, we'll start by selecting a payment schedule, You can always click edit to change it, or Add New to add a new one if one of the defaults don't work for you. If you'd like to collect information from the client before they sign the contract, you can add a questionnaire here, but this is optional if you've entered the client's information ahead of time. Once we've got that, we'll move to the contract, and if you don't see a template there, we'll click New. Otherwise, choose the template that makes the most sense and we can edit from there by clicking Edit. 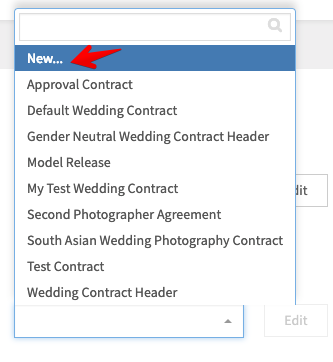 On this page we'll name our contract, add in our signature fields (one for each line), and make sure to save this as a template (or update our existing template). Before we go any further, it's important to save this quote as a template by choosing the Copy to Quote Templates option. Táve is designed to never let you do the same thing twice. Any chance you have to save something as a template, take it. Now we're going to click Save & Continue here, with one more template in our bag than we started with. Take a second to preview the quote by clicking direct link. 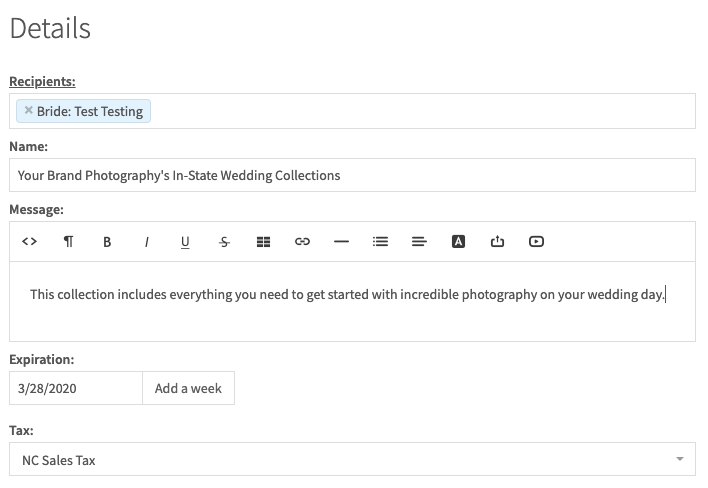 This will pull up the quote you prepared in your browser to see it as the client will when you send it their way. Almost Done! Let's head to step three and send our client our quote!